I’m sure just like every woman, I’m very picky about my perfumes. 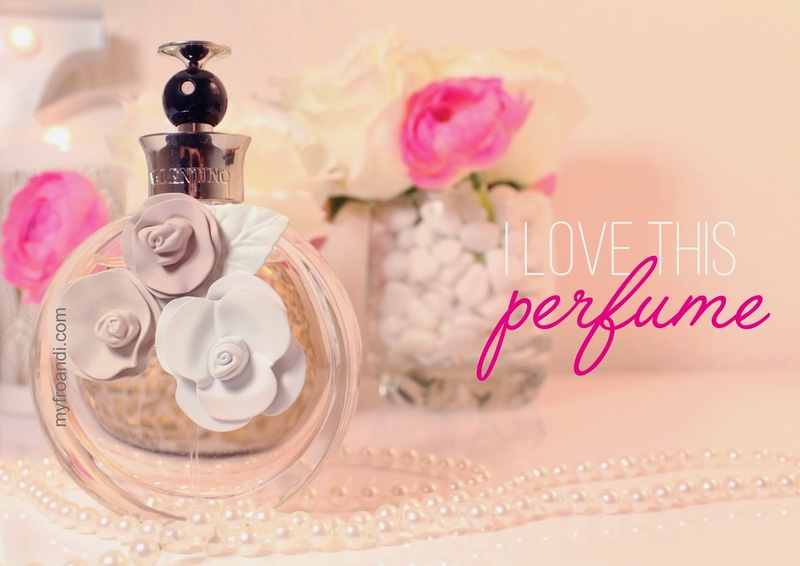 As a teenager, I loved getting perfumes because they looked so pretty. But as I grew older, I felt like there were few perfumes that have their own signature scent so my current collection is very exclusive. I have a day-time scent, an evening and a special occasion one so to add a new member to that club means it has to be so different to anything else I’ve smelled. I came across Valentino’s Valentina sample in a magazine mid last year. I have to say, the name was what made me try it – I do judge certain books by their covers. As soon as I tried it, I envisioned wearing it on my wedding day. My husband and I agreed we’d look for matching fragrances to wear on the day as I read somewhere that smell is the sense that evokes memory the strongest so on your day, wear something new so you can always attribute that smell to it. I hadn’t smelt the male version and neither had he but I was sold on mine via the sample. It’s romantic. There’s no other word I can use to describe it. It has notes of bergamot, jasmine, white truffles and a hint of wild strawberries. I feel feminine and pretty wearing it. 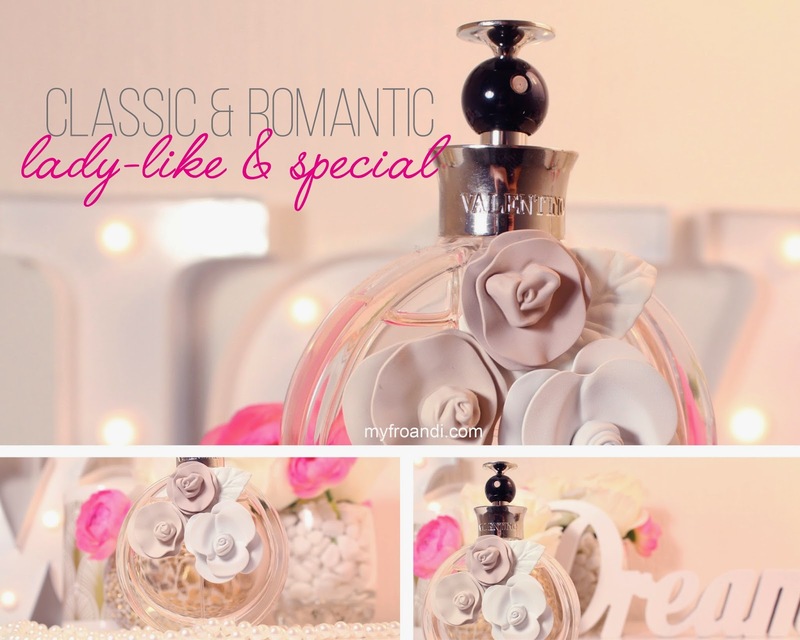 The bottle sets you up for the inside contents which mirror the outer lady-like ivory and dusty pink flowers. From the name to the bottle design to the scent, it makes me feel special. I love that it’s not strong – it’s very subtle. So it stays soft throughout the day as it’s not an overpowering scent. All of the above gives it a modern twist to something that smells like it’s a classic. Turns out, my husband loved the male version Valentino so we ended up wearing his and hers perfumes on our wedding day after all – just like I dreamt 🙂 It’s now my date night/spending time with the hubby scent. Valentina 50 ml EDP retails for about R1020. The bottle is so pretty! And I love the idea of matching His and Hers perfume. Yeah, the bottle's too cute 🙂 The his and hers thing is cheesy but I love it lol!